September 13-22, 2018 marks the 96th Anniversary of the Smyrna Catastrophe. Smyrna was one of the wealthiest cities in Europe. Greeks and Armenians lived in peace with the Muslim communities. During the Smyrna Catastrophe, expulsion and massacre of Greeks from 1914-22, there were untold heroes who saved Greeks in Anatolia. Armenian General Sebouh Ashak Nersisyan was one such hero. 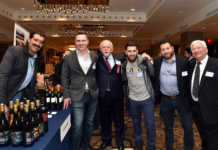 I became acquainted with his family Mardiros and Carol Anastasian of the Armenian Church of the Holy Martyrs, Bayside, New York and General Sebouh’s biographer, Dr. Ashot Nersisyan, Professor of the Yerevan State University’s Chair of Armenian History. Prof. Ashot (Nersisyan) created a Zoravar Sebouh, historical-political analytical Centre and a website dedicated to this hero at Generalnews.am. Why should we remember General Sebouh? He was born in Bayburt, Western Armenia, Turkey. Bayburt was once an important center on the ancient Silk Road. 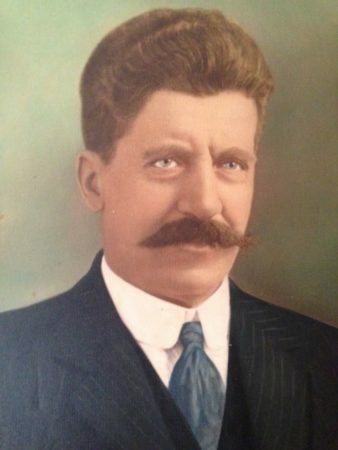 General Sebouh and family immigrated to Boston Massachusetts in 1821, when Armenia became part of the Soviet Union. He had an Armenian grocery store on Kneeland Street. Writer Nerses Maranjian wrote in “Hairenik” Armenian newspaper, September 4, 1940, about of the humanitarianism of the low key Boston grocer, the former General Sebouh, saving Greek Orthodox Christians, in addition to Armenians. I personally interviewed Prof. Ashot Nersisyan in Yerevan, Armenia in August 2018, concerning his book, “General Sebouh”. The historical book based on General Sebouh’s memoirs, explains in detail the saving of Greek Orthodox Christians. 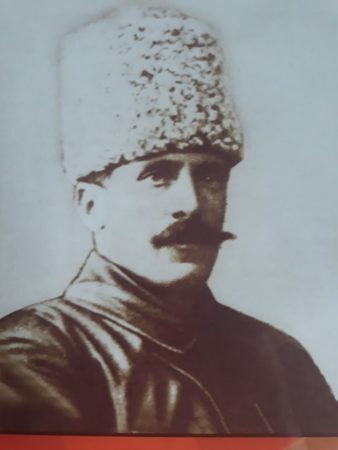 “Greek informants in February 1918, aided General Sebouh in military information concerning the Turkish takeover of Russian positions in Baberd, Armenia. The clouds of our sky were gradually gathering over our head, all the achieved news was in an unfavorable character. Gyumushkhane (Αργυρόπολις in Greek) is a city and the capital district of Gümüşhane Province in the Black Sea region of Turkey. It was not a village. It was an area comprised of over 77,000 inhabitants. As for the name of the city during the Ottoman period, the Greek-speaking population was also using the name Gümüşhane (Γκιμισχανά and Κιουμουσχανά) but, in the first decades of 19th century, the Hellenized form Argyròpolis (Αργυρόπολις, from Argyros “silver” and polis “city”) was established. The Argyropolis belonged to the Diocese of Chaldie (145 communities, 77,845 inhabitants). During the 1914-1918 Persecution of Greeks, the Turkish authorities boycott the Christians. 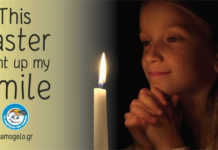 The boycott deprived the Christians of all they possessed and reduced them to absolute poverty. The organizer of the boycott was the Djemal Azmi, Vali of Trebizonde, under whose orders were the Governor of Argyropolis and others. In the sterile region of Argyropolis, the distress was great, because the inhabitants were entirely dependent for their existence on their local trade, and that from Russia. General mobilization was also among the causes conducive to the ruin of the Greek communities, for the male inhabitants who supported their families were taken away from their homes. The Turkish officers treated the Greeks shameful and brutal, making many Greeks to desert. This was the situation before the Russian advance. ”The first residents of Gümüşhane settled in the region just after the fall of Trebizond (1461) and the town soon became a home for miners. Sultan Murad ΙΙΙ (1574–1595) appears to have granted extra privileges to the chief miners and the town prospered and soon became a center of Hellenism. At the time, it had 60,000 residents. Its trade was increasing and the whole province of Chaldia was on the rise. Another example of its development was that they minted coins with the name Kioumous-hane on them. Another example was the settlement of chief mining families there such as the Sarasites, the Karatsades, the Stavracoglous, the Kalimachidises, the Grigorantons and others. There were also more jewelry shops opening, as well as more hagiography and other arts in the region. The rise in wealth and abundance soon brought positive changes to the communities. From the beginning of the 18th century new schools were opening, and from 1723 the Frontistirion (Greek Tuition Centre) of Argyroupolis was in full operation. The tuition center became an educational institution and spiritual center of the region. In 1650 the diocese was elevated to archdiocese status, and hundreds of churches and temples were built. New mines rich in minerals were discovered in Ak-dag Maden and Argoni, which resulted in a large exodus of miners from Argyroupolis to the new mines. The further dramatic fall in population followed the Russo-Turkish War of 1829–30, when many Pontic Greeks of the area collaborated with or welcomed the Russian army that occupied the area. So as to escape likely Turkish reprisals, the majority of the Pontic Greek population followed the Russian army as it withdrew back into Georgia and Southern Russia, many settling there and joining preexisting communities of Caucasus Greeks that had moved eastwards between the fall of the Empire of Trebizond in 1461 and the 1801 Russian annexation of Georgia, including another community of Pontic Greek miners who had settled in Georgia and Armenia in 1778. Some of the Pontic Greek mining families of Gumushane also settled in Nicomedea, Mesopotamia and other mining regions, from Tiflis to as far as Ak-Dag and the Taurus. 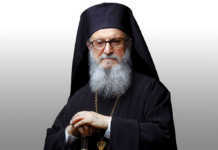 During those years tension between the Christian Greek and Muslim population was also growing due to the Greek Revolution and the public reversion to Greek Orthodoxy of many of the Stavriotes, Pontic Greeks who had superficially adopted Turkish Islam in the early Ottoman period but who had remained crypto-Christian in private. During those confusing and troubling times, many people became benefactors of Argyroupolis, such as the Sarasite family and the influential teacher Georgios Kyriakidis. Kyriakidis identified the need to extract large sums of money from the churches of Saint George, Saint Theodore, Τίμιου Σταυρού and Παναγίας for the educational needs of the town. Sale of church property, as well as donations and consecrations, resulted in the erection of a new school at the Frontistirion of Argyroupolis, a school which was to operate until the Exchange (1923). 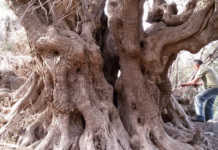 The Frontistirion comprised a three-grade high school, a seven-grade primary school including scholarship classes, and a six-grade girls’ school, as well as a carpet-making technical school. Another public building was the library, the Educational Society Kyriakidis, as well as the Metropolis of Chaldia. 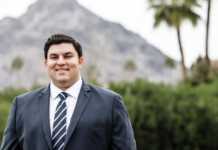 The Argyroupolitans, therefore, are very much regarded as having some of the best resources in education, due mainly to their economic rise because of mining. After the turmoil and ethnic strife (1914–1923), a few ethnic Pontic Greeks managed to flee to Greece. Those that did settle in the Macedonia region of Northern Greece. A small group which settled in Naousa brought precious items with them from their churches in town, as well as items from the library of the Frontistirion, including rare manuscripts and books. This collection is still in use today and is considered] a prized asset of Naousa. The town was occupied by the Russian army on July 20, 1916, but the Russians withdrew on February 15, 1918, after the fall of the czar. After the exchange (1923) no Orthodox remained in the region.” The descendants of Gyumushkane are playing a major role in Macedonian Greek politics, international Pontic Greek organizations and the Pan-Macedonian Association USA. 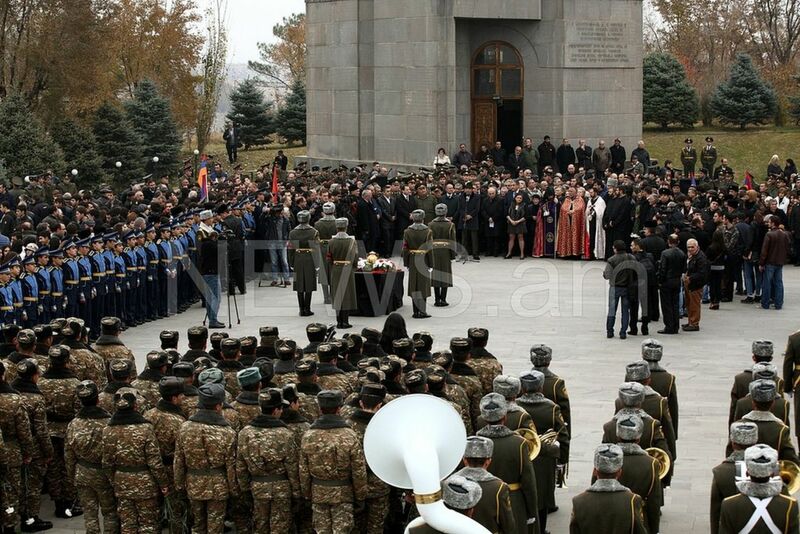 “On Thursday, Nov. 20, 2014, the remains of General Sebouh (Arshak Nersisyan), were ceremonially buried in Yerevan’s military cemetery at Yerablur. General Sebouh’s last wish was to be cremated and buried in Armenia whenever it became possible. Attending the ceremony at the Pantheon in Yerevan was Armenian Defense Minister Seyran Ohanian. 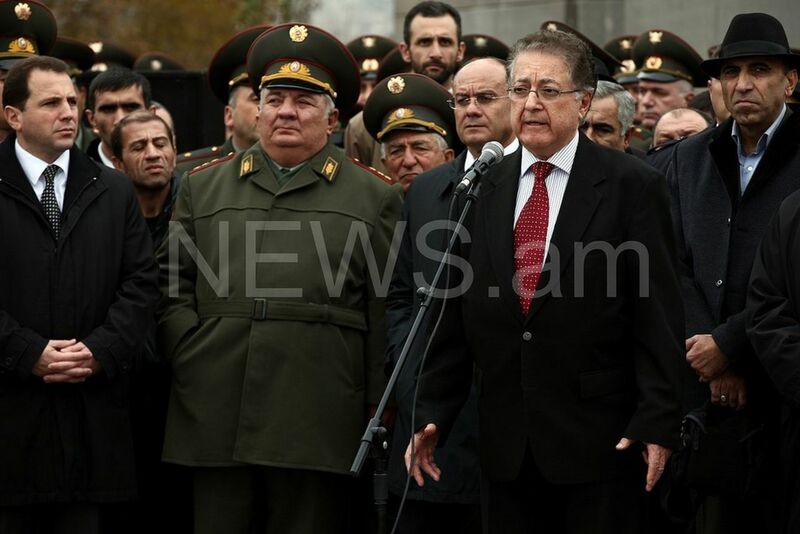 General Sebouh’s ashes were repatriated through the efforts of the Defense Ministry, as well as members of the Nersisyan family.”6 Mardiros Anastasian and Professor Ashot Nersisyan were present. General Sebouh saved Pontic Greek Christians for humanitarian reasons. Therein lies his greatness: saving the Pontic Greeks with Armenian refugees of Western Armenia without self-interest. This act was recognized by the Greek Orthodox Patriarch of Constantinople. Their descendants live today, one hundred years after 1918, in health and prosperity, because of unknown heroes like General Sebouh. My appreciation to the following persons who inspired this article: Mardiros and Carol Anastasian; Professor Ashot Nersisyan, Doctor of the Historical Sciences, Professor of the Yerevan State University’s Chair of Armenian History, A genuine member of the Humanities Academy, President of the Zoravar Sebouh, historical-political analytical Centre; Rev. Fr. Abraham Malkhasyan who personally invited me to join the Pilgrimage; Aram Ciamician, who organized the Pilgrimage without personal gain, his spouse Lara, mother Araksi and their network at the Armenian Church of the Holy Martyrs, Bayside, New York. Photographs by Prof. Ashot Nersisyan. For further information, email E-mail: [email protected] and [email protected]. “A remembrance of General Sebouh” by Nerses Maranjian, Hairenik, September 4, 1940. Ashot Nersisyan, “General Sebouh” (Yerevan: Yerevan State University, 2015), p. 176-177.
https://www.amazon.com/GENERAL-SEBOUH-Ashot-Nersisyan-ebook/dp/B00TH4W9MW – “General Sebouh” book. General Sebouh. All Photos by Prof. Ashot Nersisyan. 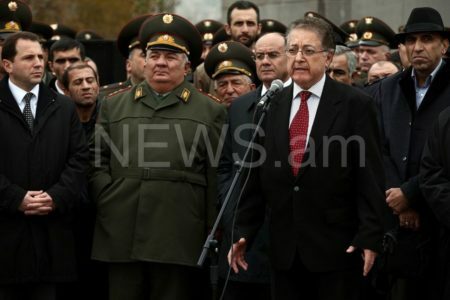 Mardiros Anastasian at microphone eulogizing General Sebouh with Professor Ashot Nersisyan (first row right) General Sebouh funeral, Nov. 20, 2014, Yerablur military cemetery, Armenia. 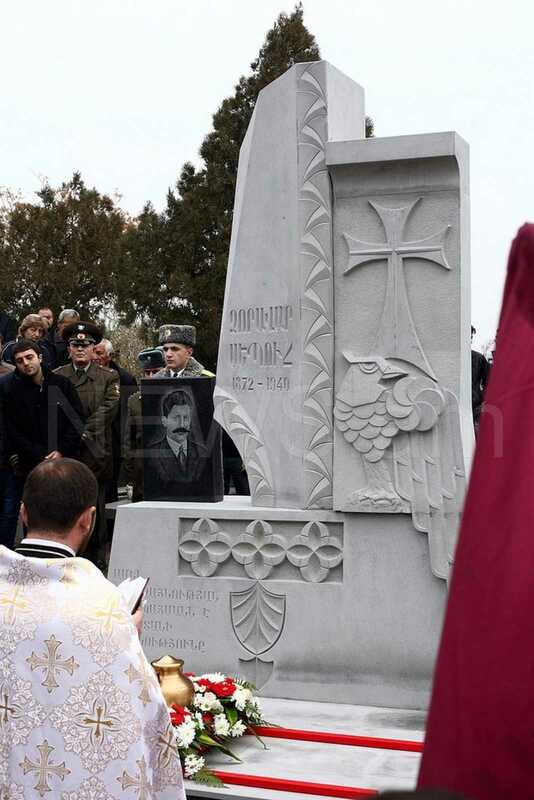 General Sebouh memorial, Nov. 20, 2014, Yerablur military cemetery, Armenia.